Consider for matrix layout to expand the thumb area to accept more navigational keys. Left thumbs get Home+End; Right thumbs get Page Up+Page Down. Notice the thumb keys will encroach on the main area occupied by letters. These are some of the worst keys for typing, so not a big loss. The two displaced symbols can be placed on the punc layer instead. One of the problems with my Ergolinear (physical implementation, not KLA layout, see attached) is that the arrow keys are in the centre which is supposed to be convenient for lefties and righties, but I suspect that it will be convenient for neither. However while playing around a bit it looks easy for the thumbs to work Left and Right, and if we had Up and Down on the keys above them, then that would be easy too. Downside of that is requiring both hands to work arrows. XKB files to remap your keyboard in Linux. Opt's cfg and corpus to test against. You do the xkb by hand? Just asking because I'm contemplating a script KLA2XKB .... but there are issues ... like knowing how much to include from another layout. Um, don't you need to specify which hardware/geometry it works on somewhere? initially i used app called keyboard-layout-editor, but it spit out weird symbols, and too verbose. so i fixed the rest by hand. you should have a basic layout. then compare/diff the other layouts to find the keys that need to be updated. hardware geometry is independent from logical layout, and it's set by the user based on the hardware they own. as long as the key codes align, logical layout should work for any hardware. e.g. I set mine on Kinesis. create new geometry only if you have new physical design. mostly it only helps for creating a PS image generated by xkb. wouldn't affect the logical layouts or other operations. you mean keyboard-layout-editor.com ? That generates custom json (and uses even more custom json-lite internally). By "custom" I mean it uses alignment and colour codes that it understands but not human-friendly unless you are familiar with the codes. And far from XKB layout. Currently busy with a KLE2KLA program, basics work (for ANSI), but need to munge it to auto-fill missing upper/lower, move non-character keys to unshifted slot, etc. So in theory something like KLE2KLA2XKB is possible, for known-to-KLA form factors. My other problem is how well PHP understands upper/lower case for non-English letters. I was thinking of diff-style operations to re-use existing parts of other layouts. Will have to see what effect the white space in XKB files has. BTW the last time I played with XKB I think there were three files to modify, not two. Will revert later. Looks like three may no longer be necessary, but maybe just needed for consistency. Not sure what the various flavours of Linux do when these files get updated by new releases. Cool looking! Thanks. I look forward to checking it out. So the other day the voice in my head suggested, quite innocently... why not use a joystick for the arrow keys? 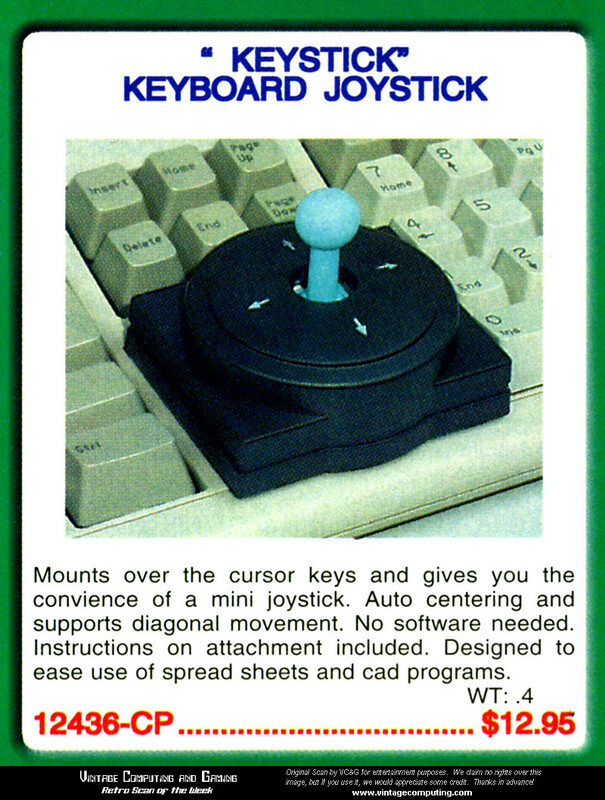 Maybe a mini-joystick, perhaps a bit bigger than what IBM used to put in their laptops for mouse navigation. And then when I looked for the correct piece of text to reply to, another enhancement ... you could in theory have another one that does Home / End (left/right) and PageUp PageDown (up/down). 1. very finger friendly ... no hard clicking. 4. reduces clutter in keyboard layout, allowing narrower (shorter?) keyboards, so that the mouse is closer on the right. Tried to find mini joysticks on AliExpress without luck ... ideally they should work long-life micro-switches or blade switches, but blade switches give problems over time. Contacts get dirty etc. Arrows intruding into the main keys. Bottom left hand middle finger will be UP key. Letters tweaked to favor right hand a bit more. Resulting in H moved to the consonant district and slightly higher hand alternation. Vowel district also looks pretty tidy and comfortable. Yet the final scores are in the same range as other BEAKL layouts. They need either a hand move, or fingers to remain a bit curled, generally, unless the keyboard accounts for that (like a Maltron, Kenesis, Dactyl, etc. may do this well enough, but not most slab types), to use continually. I'm messing around with a 60%, right now, and I find a navigation layer, with arrow keys around either standard esdf or ijkl, to be much preferable to elsewhere, even considering the layer swapping actions. As well, there doesn't seem to be, to me, any mental block against having such a layer, since it is a fairly different interface controlling activity, compared to typing. It probably doesn't hurt that it also replaces a move and rehome from standard layouts. One thing I think that a lot of physical keyboard designs miss is that the arrow keys can be used as much as, if not more, than the whole of the letter section combined. IMO, not trying to cram them into where the letter keys are is a good thing, but placing them somewhere out of the way is a bad thing. I have a HS and TS, from a project never completed. I could see using either one as a palm pointing device, or occasionally used thumb pointer, but they are pretty stiff for finger use, or long-term thumb use, IMO. If anyone wants to buy a TS to check out, I would recommend getting one with no limiter for use as a joymouse, or a 4-way guided feel limiter for use as an arrow key replacement. Thanks. Was actually contemplating those two models. Have decided to buy one each of these for a look-see... the postage (courier) will be more than both parts combined (sigh). Both look similar to the Adafruit part. They are only 1cm square... so wonder if a non-profile keyboard keycap can be made to fit. They're made by Alps so maybe an Alps keycap would work? The docs say the tops are made for a handle but not able to find that part yet. Was also looking at this sort of thing: (Though stick is maybe too big). The problem I see right away with these products is the switch lifetime ... they're talking 100k range and Cherry etc talks 50 million. Big difference. They won't take any key cap. They might fit some business notebook trackpoint caps, though. They're analog with pushbuttons. You can readily buy caps for them, or print covers with relatively low accuracy requirements. You can also find similar ones with a thin square metal stick, and cheap replacement caps for those, too. All these cheap switches have low lifespans. Even the Hall effect Sony sticks eventually start getting loose with the pushbutton action, after a couple years. I saw lots of analogue jobbies but thought a simple switch would be better. Are those switches I posted "joysticks" (i.e. they rock) or just "slide" switches? And the specs say the travel is only 0.4 mm .... that's hardly moving at all? Mm. I went surfabout to try to find some research on relative use of alpha keys to arrow keys, no luck. Lots of caps for APEM stuff, but "data sheets" are all for the switches they sit on not the caps themselves... which need a cap with a 4.2mm square hole. Or thereabouts. My Thinkpad's seemed about 4.3-4.5mm (with the key edges in the way, it's hard to keep calipers parallel to the sides of the nub), so that sounds about right, while most of those switches are 3.2mm. According to the intertubes, Dell's tend to be 1/8" (about 3.2mm) or 3mm, and they are all over eBay and AliExpress (search "dell trackpoint cap" or "hp trackpoint cap"). They are joysticks with a switch per side, like arcade sticks. The units for the game controllers, and the TS Apem thumb sticks, are joysticks with X and Y potentiometers. Given that the entire units are 10mm wide, 0.4mm seems about right. It should be closer to 1mm with a cap on top. The tactile snap of the switches will generally make up for the low travel. If you were to buy a cheap flight simulator type joystick, you'd likely find a switch like them used for the hat switch. It's mostly limited to programmable small form factor and/or split boards, usually built/bought to limit total finger/wrist/arm movement, and also by [Neo]Vi[m] users. Most research tends to assume that typing is of paramount importance, from what I've seen. It's almost BEAKL-like, great scores. reminiscent of BEAKL 8 in some ways. the downfall is higher same finger and pinky usage. Thanks... haven't seen it before. They are joysticks with a switch per side, like arcade sticks. Will worry about the caps when after I have examined the switches. Back on topic, I've been trying out a partially ortholinear split board (left, middle (thumb), and right MX switch holders, with male-female jumper cables, and no matrix), trying to get a little beyond hunt and peck in a few layouts. My question that has arisen from this is: why do BEAKL layouts eschew the use of letters on thumbs? The excellent scoring X7.1H, Maltron, and memeable P_RN all do this, and Maltron has decades of real use behind it. What is the main reason, especially with BEAKL layouts somewhat underutilizing the right thumb (for typing, at least), for sticking with all letters just on the finger keys? FWIW, I tried assorted letters on thumb, starting with E and working down the frequency charts, only thing that worked was H. Much to my surprise. Have no idea (yet) how viable such layouts are in real life. Also found letter on left thumb worked better than on right, but I suppose if you swap vowels/consonants left/right then it could work on right thumb. My question that has arisen from this is: why do BEAKL layouts eschew the use of letters on thumbs? The excellent scoring X7.1H, Maltron, and memeable P_RN all do this, and Maltron has decades of real use behind it. One thing I think that a lot of physical keyboard designs miss is that the arrow keys can be used as much as, if not more, than the whole of the letter section combined. IMO, not trying to cram them into where the letter keys are is a good thing, but placing them somewhere out of the way is a bad thing. Keyboard navigation have long since been replaced by the mouse cursor. So the arrows can be neglected. Just as you observe, there is simply no great place to put them, and eventually reduced in usage is not a deal breaker for keyboard layout. Printed characters have no such alternatives; thus they must be prioritized before arrows. They need either a hand move, or fingers to remain a bit curled, generally, unless the keyboard accounts for that (like a Maltron, Kenesis, Dactyl, etc. may do this well enough, but not most slab types), to use continually. I'm messing around with a 60%, right now, and I find a navigation layer, with arrow keys around either standard esdf or ijkl, to be much preferable to elsewhere, even considering the layer swapping actions. As well, there doesn't seem to be, to me, any mental block against having such a layer, since it is a fairly different interface controlling activity, compared to typing. It probably doesn't hurt that it also replaces a move and rehome from standard layouts. Too many layers is a frustrating and confusing experience. I don't even like the extra motions to enable/disable the numpad layer. It's not always convenient. Arrows are not important in modern computer usage. I'd rather find other ways to navigate (a page or program) than have to obligate to extra layers just to access the arrow keys. Thus the arrow keys right underneath the letters have the best chance of me using them at all. I don't have to move my hand too far, and I don't have remember to enable/disable layers. There are more than enough keys at the main rows that I can spare one or two keys for alternative purpose; optimizing the arrows seems a worthwhile sacrifice. My question that has arisen from this is: why do BEAKL layouts eschew the use of letters on thumbs? The excellent scoring X7.1H, Maltron, and memeable P_RN all do this, and Maltron has decades of real use behind it. What is the main reason, especially with BEAKL layouts somewhat underutilizing the right thumb (for typing, at least), for sticking with all letters just on the finger keys? the main reason is simply not many keyboards are designed for thumbs to play a major role. so if a layout wants to become mainstream, it must use only the other fingers until thumb clusters become the norm. moreover, putting letters on thumbs would displace other functional keys. that would require a whole new, complex game of optimizing alphanumpuncs, along with functional keys like Enter, Tab, Escape, Layer, etc. so while we may recognize that typing performance may see some improvements by arranging the letters on thumbs, however, would that improve the overall keyboard usage experience? at this point, I don't have enough information. How do you like the consonant district? in particular, how do you like the N at the top row? since N is 2nd most common consonant, but is not on the home row. Interesting. How do the other layouts look? I don't have any other layouts in my current collection with that home row .... although Beakl9 shares the left hand home row. Keyboard navigation have long since been replaced by the mouse cursor. Surprising you would mention this ... the other day a previous message in this thread made me think back to when I was in a corporate, my manager was a famous crime author, who it seems learnt to type on a proper typewriter and just transferred those actions to the electronic keyboard. So basically typed rather fast using one or two fingers on each hand. 6. comma-space with right hand, which means moving it from my "copy/cut/paste" "home position" with thumb on ctrl or shift, and middle finger over insert/delete, and back again. It is these actions that I would like to improve. The 5-way one is still coming from UK. The consonant district originated with your BEAKL 10 layout and, having arrived at this, like its balance of rolls and low same finger usage. The N, I had no issues adjusting to at all -- on my google words usage frequency db, N R S are more or less a wash -- the ND bigram and smooth NG motion probably account for a lot of that transition. Rhythmic rolls is the feel I gravitate towards which is what caught my eye with your BEAKL 10 and its R placement. Now, if I can just stop tinkering with the layout..
along with a ramble on the layout decisions and keyboard behaviors via QMK. Showing gradual progress by merely constant usage (but no intense practice for speed). I can see the preference for rolls if one is used to layouts like Colemak or Arensito. Balance, however, feels shifted towards the right hand with its increased thumb usage which is exaggerated by the opposing long term finger memory – this feeling should dissipate as new neural pathways are developed. There is little doubt during this limited testing – this layout feels rhythmic with it’s low same finger usage. Suggest moving the space to the left thumb and the letter on the right thumb, to balance both hands. Also, try 'T' on the thumb instead of 'H'. I might try this one to get accustomed to pro-roll, letter-on-thumb layout. I've still a ways to go before I've established this as a suitable baseline -- which I hope I stick to long enough before starting from scratch (again) with a totally new layout such as the one you generated (would be interested in your Opt config though..). Hope you find it worthwhile to continue exploring and sharing single thumb letter BEAKL approaches. Curious what is your typing speed on BEAKL? The major stumbling block is how to prepare my Kinesis keyboard for thumb and arrows, per recent discussions. So I can test drive and experiment with these radical layouts. Redid the BEAKL homepage layout using CSS grids. New logo. Auto-generates a table of contents based on the headers elements (h1 - h6). then on a whim searched for 'beakl' on the 'net. not many results, but surprisingly other keyboard enthusiasts from non english blogs have mentioned BEAKL. sdothum's blog is the 4th result in this search. congrats. This Japanese blogger creates a pinkyless Dvorak inspired by one of BEAKL's main ideals: to reduce pinky usage to the possible minimum. This Frenchman ponders the future of optimized French layouts, in view of recent call from their government to make Bepo as the new national standardized layout. The features and peculiarities of BEAKL caught his attention. One search result led to redd.it. But deeper search on that site returned barely a handful of posts. (Unfortunately you can't search comments.) So perhaps I may consider creating a subreddit just for BEAKL. Besides increasing visibility, but should also foster better discussion than cramping everything in one topic here. Comment on subreddit? Agreed on "increasing visibility", but in general am not a Reddit fan. The "structure", for lack of better word, is better on this forum. Speaking of which, came across attached (free download from researchgate) but have major problems with her methodology. Just checking bigrams without "return to home" is going to give misleading results. I'm sure if there was a "move from home and return to home" component, Dvorak would win hands down. The space character is always typed by the thumb in touch typing and because the thumb always rests on this key [the digraph] can be discarded. Now that they mention it, digraphs involving thumb and top row are quite awkward. When you reach for top row, the thumb is slightly moved away from the rest position. Very obvious when just rehearsing the TH in my latest proposal, whereby T on the thumb and H on top ring finger. Thus top-thumb digraph should be penalized. After that visit to Reddit, I have to give another downvote. I find it nigh unusable. And it's not from lack of computer experience. 3. G+ group? (but don't like that interface either. Maybe am too old-school...). These sort of things need an easily navigatable structure. 1. Public board/group to discuss mainly BEAKL, plus keyboard related topics. 2. Anyone can sign in with OAuth from their FB/Google/Twitter/etc. accounts. 3. Preferably already high-traffic and well-known site, that allows custom sub-boards. 4. wiki. easier to update information than static pages. editable by team of chosen trusted editors. 5. Logo and mascot. Thinking of a bird because they have beaks (what should it represent? speed? efficiency? diligence? knowledge? aesthetics?) Pecking on some keys? Yeah, I found the TH digraph to be a deal breaker for me on the layout being the most common English digraph. Top row middle finger is effortless with thumb, followed by the index finger. As for my typing speed on BEAKL, I will never be the poster boy for that. Since getting into altering layouts the last several years, beginning with tweaking Colemak, then Opt generated layouts and now BEAKL, I haven't ever stayed long enough with a layout to get back to my comforable Colemak speed of around 60wpm. I'm lucky if I stay with a layout more than two weeks before flashing some new change. Also, having retired long ago, don't write or code a lot anymore so my search has been for the layout that *feels* best for my hands -- which undoubtedly are not as nimble as they were 50 some years ago when I picked up my first typewriter! rolls with thumb feel weird, which i've said before. so i made thumb effort cost higher to avoid placing the most common characters there, and limit the percent of thumb usage overall to about 6%. Letters on thumb are 'i' and 's'. Space is on home middle finger. I might even consider removing all nonhome pinky keys for nontyping utility. like PageDown/PageUp, Copy, Paste, layer access. We only need 27 keys for letters and space. So 13 and 14 on either hand. Each hand's main well + thumb = 16. Remove 2 pinky keys = 14. Left hand also loses 1 key for arrow = 13. Perfect. All punctuations will move to punc layer. There's also room on shift-space to fit a punc (probably comma, underscore, or apostrophe).